She'd been waiting to say it, and there it was. She'd decided she absolutely wouldn't say it first, but the feeling of loving him, it engulfed her. The words followed the feeling and there was nothing she could do but say it. Well this was a bit of intense thriller. I found myself rushing through the book just to find out who was responsible for Laura's condition. There were quite a few possibilities. The story is told from two view points. For the first part, Laura tells us what happened on the night she was hurt, before moving on the second part, where Tessie takes over the story. You watch in despair as Tessie's family crumble under the pressure of Laura's condition. I loved Max and Jake in this story. Max loved Tessie no matter what. He would do anything to be with her and help her with her mutism to make it easier on them both. Jake is very protective and takes on a fatherly role with Tessie. I struggled a bit with Tessie. I loved that her selective mutism was handled so well. I got a real sense of what it must feel like to be unable to speak when you desperately want to. The way her body reacted to situations as she struggled. I just wish we could have seen Tessie being more reactive to the situations occurring around her rather than reactive. At times she must have wanted to explode with all the information she had, which she didn't feel able to share. But then, this comes down to her illness, which stops her from being able to communicate what is going on. 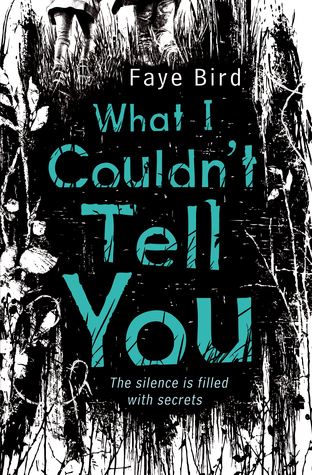 This book gives an excellent portrayal of selective mutism and how it affects the whole family. A good thriller that keeps you guessing until the final chapters.